It’s true that the colors you wear can certainly change your mood. Putting on these lighter shades instantly makes me feel happy not to mention it’s been extra beautiful lately. Hope you’re surviving the week! The quotes at the beginning of your posts are so inspirational! I love love love this outfit. What a beautiful color!! 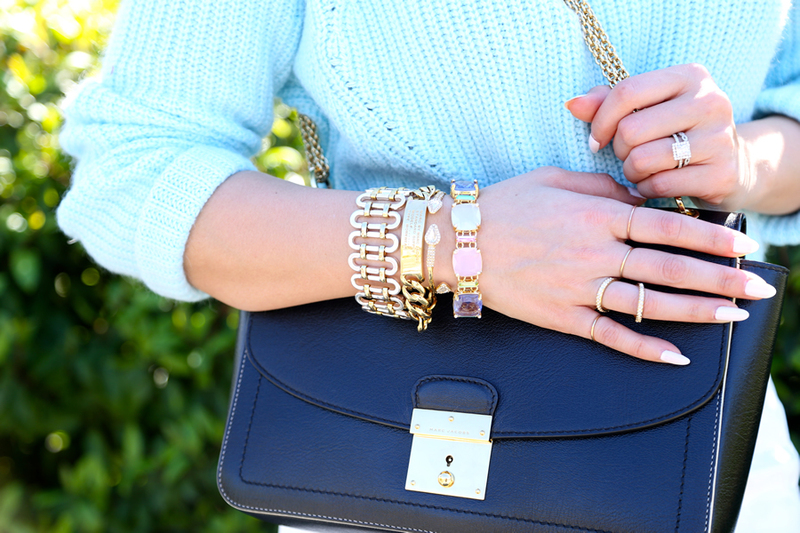 Amazing post… loving the soft toned color palette and accessories… you are an inspiration doll! Love your sweater. Love the colour. Love that sweater, the color is gorgeous! This shade of blue is gorgeous on you! You look beautiful and I adore your shoes. Love your blog and the photos are so pretty!! I got that skirt but it kept rising up. Does yours do that? And I want those shoes!! Are they comfy? Do they fit true to size? Thank you, I love you and your blog!!! You are absolutely gorgeous! I love the soft shades on you, it’s so sweet and innocent!